​The Freedom of Information Act (FOIA) is a federal freedom of information law that allows for the full or partial disclosure of previously unreleased information and documents controlled by the United States government. The Act defines agency records subject to disclosure, outlines mandatory disclosure procedures and grants nine exemptions to the statute. It was signed into law by President Lyndon B. Johnson on July 4, 1966 (Public Law 89-554, 80 Stat. 383; Amended 1996, 2002, 2007), and went into effect the following year. 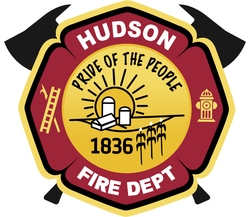 Hudson Community Fire Protection District public records are primarily maintained by location, site/facility name, or incident. Furthermore, these records are subdivided into categories reflecting the relevant Agency program, or document type. Consequently, it is important to provide as much specific information as possible when requesting information through the FOIA. In addition, Hudson Community Fire Protection District public records are maintained in various media including paper, microfilm, digital image, and computerized records. Access to, or copies of public records may be obtained through the FOIA by several methods including an on-site records review at Agency Headquarters, Agency duplication (fees may be assessed) and mailing, or use of a copy contractor by the requester to perform duplication. The appropriate method will depend upon the type of media in which the requested records are maintained and the quantity of records requested. Likewise, any fees that may be assessed will vary with the type of media and the quantity of records requested. The public may access information by submitting a request pursuant to the Illinois Freedom of Information Act (FOIA) (5 ILCS 140). Hudson Community Fire Protection District public records may be requested, accessed, inspected, and duplicated. Your request for information must be submitted through the following means: through fax, the US mail or special carrier.